It seems like I have lots of new things to talk about this episode. 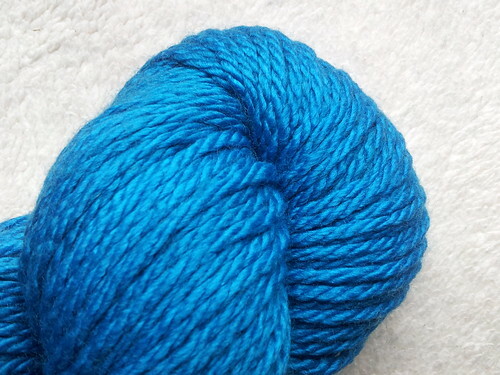 BFL Superwash fibre from The Yarn Yard in Beach Colourway. Blogged about it here. 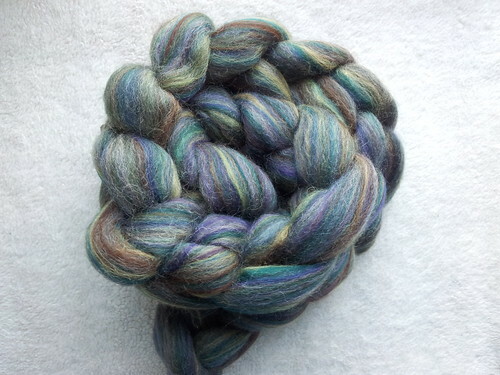 BFL/Silk from Picperfic spun on Rakestraw/Mayan Spindle from www.handspinner.co.uk. Blogged about it here. LaLa The Panda by Stacey Trock for my nephew, project is on Ravelry. Cardigan for my nephew, Beyond Puerperium, by Kelly Brooker, project is on Ravelry. 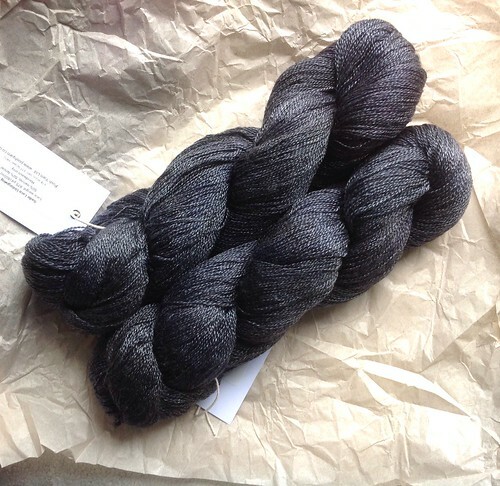 Drizzle by Mel Ski of Single Handed Knits in Posh Yarn, blogged about here. Dana from Just One More Row had the same comments about the lace on the crown! I have made no real progress on Dew Drops Shawl, for reasons explained in the Quest for Knowledge Section. My striped shawl had been my simple project of choice which means the Nuvem has been placed on the backburner for now. 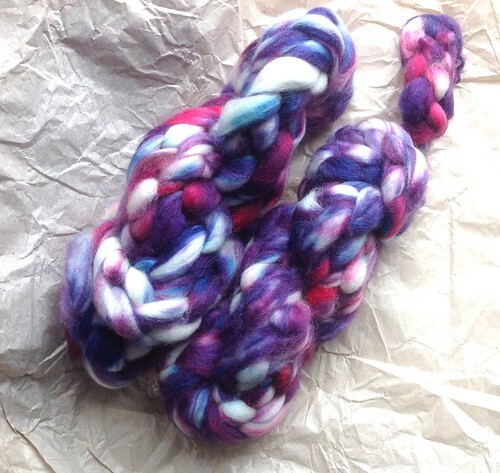 Spinning Polwarth/Camel Fibre from EasyKnits on the Rakestraw. 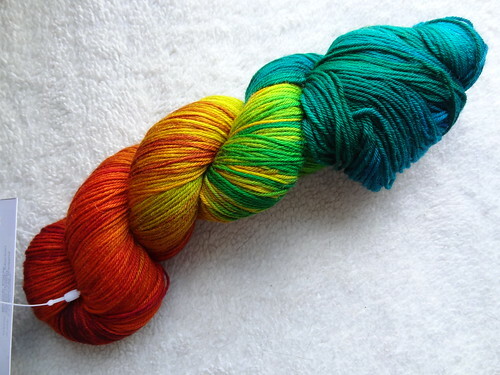 Trillian by Martina Behm using Deeply Wicked from EasyKnits in Beach Party colourway. 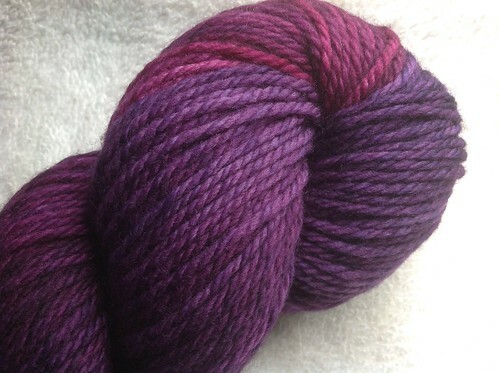 BFL Superwash (50g x 2) from The Yarn Yard in Blackcurrant. BabyLongLegs Radiance Aran (100% wool) in BellaDonna and Semi-Precious Aran (50% silk and 50% superwash merino) in Dolly Blue. 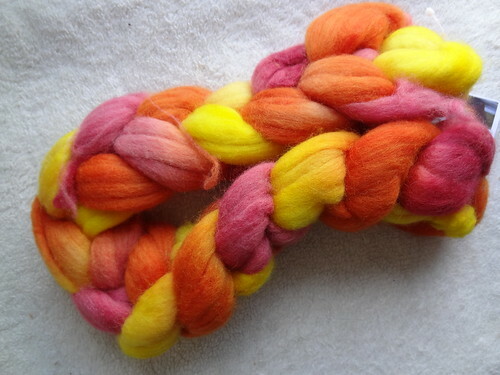 Ordered a Tibetan spindle from IST Crafts. 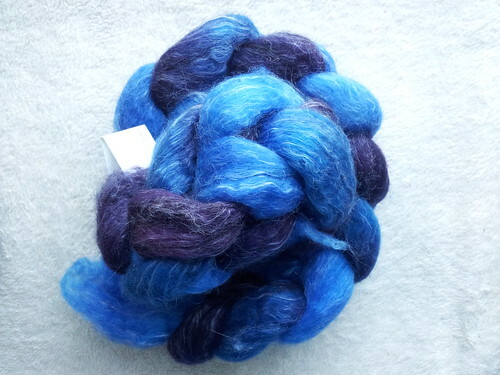 Supported spindling - discovered via CraftStash. Here's a video showing how the fabulous Fleegle, uses her Tibetan spindle. Fleegle is selling an ebook on supported spindling, but it is delivered on a flash drive. This means not only will I have to pay the price of the book ($30), but the postage ($10), the UK VAT (sales tax @ 20%) and the admin charge to pay the sales tax charged by the post office (at today's exchange rate a cost of $12.26) which gives a total cost to me of $58.26 or £38.01. I need to think a little more before spending that money, after ordering a Tibetan spindle. Maybe I'll revisit the idea of the book when I've had a go with my own.